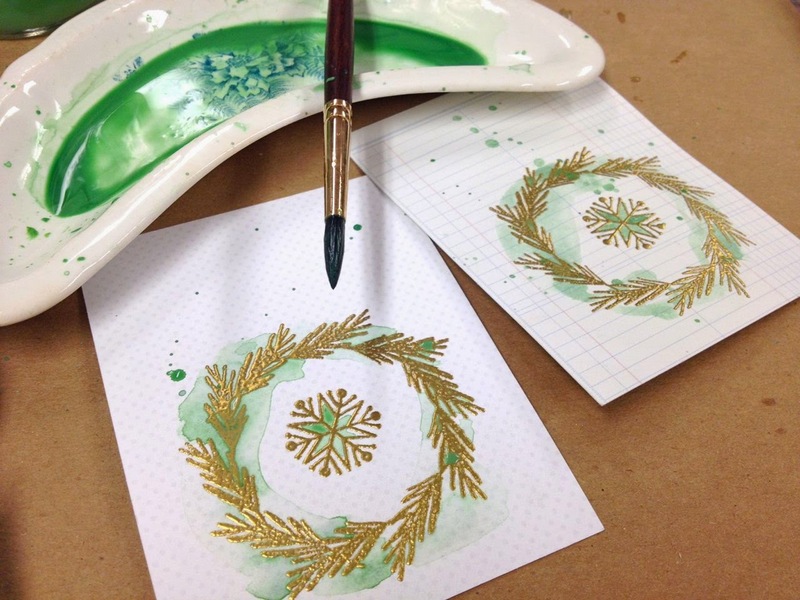 It's Tray Tuesday and today I'm sharing the watercoloring process I used on these cards over on the Gossamer Blue blog. In my tray, which is a vintage wooden utensil tray, I have the Get Happy holiday collection from Gossamer Blue. 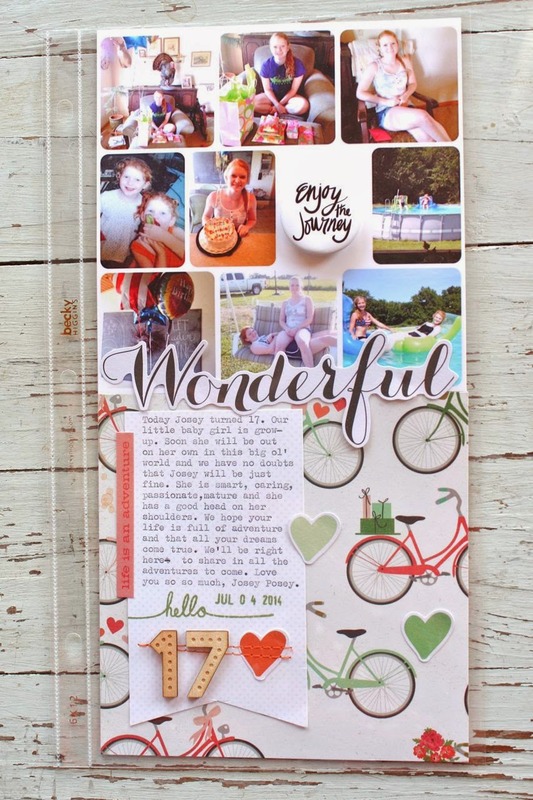 Get Happy is wonderful holiday collection of patterned papers, embellishments and stamps. There's the traditional red and green plus a lot of fun colors and patterns mixed it. 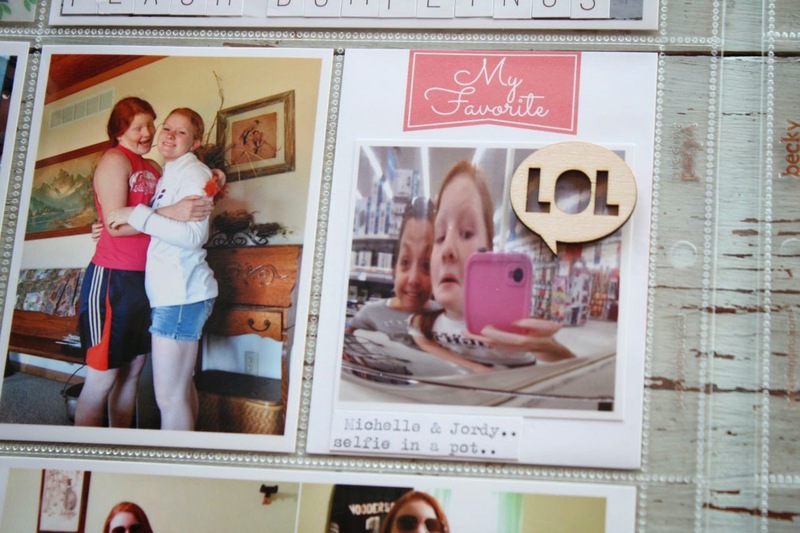 Just what I like in a scrapbooking collection. So these are the holiday cards I created with the Get Happy collection. 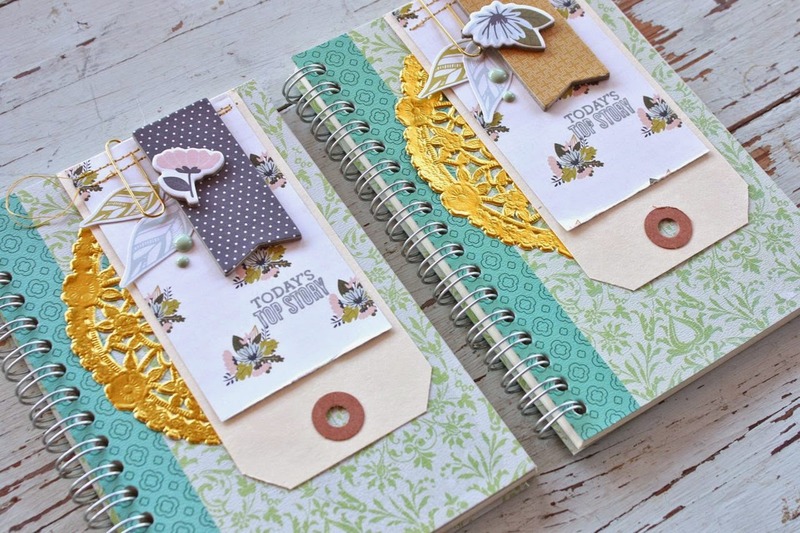 I mixed in my own cardstock bases, ledger paper, twine and sentiments. 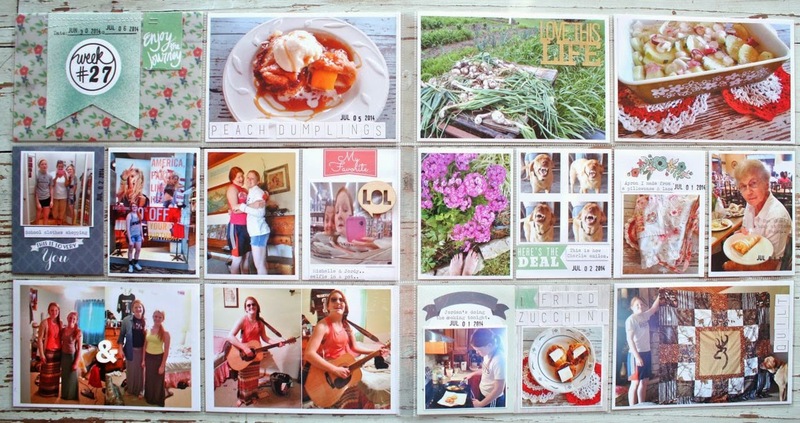 All of the focal images on the cards are images from the Get Happy stamp set. 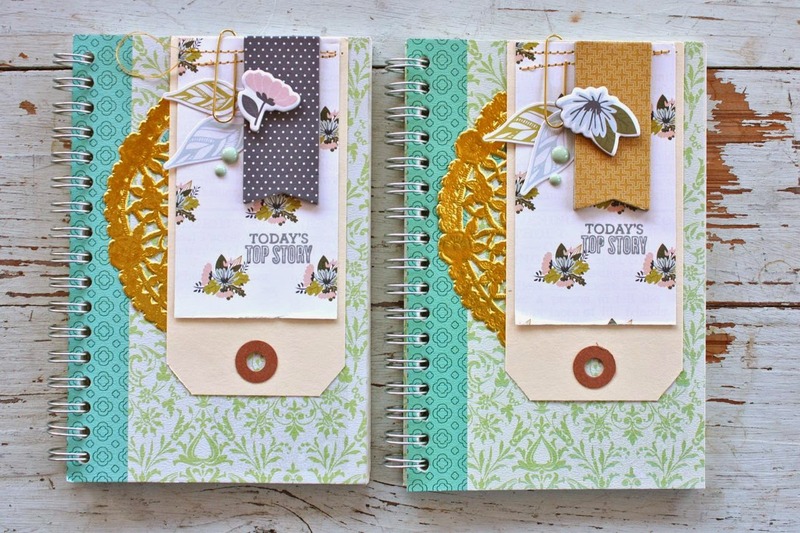 I used journaling cards for easy bases and embossed all the images with gold embossing powder. Next I got out my watercolor set and mixed up a nice holiday green that coordinated with the patterned papers from Get Happy. I first painted over and around my embossed images with clean water. 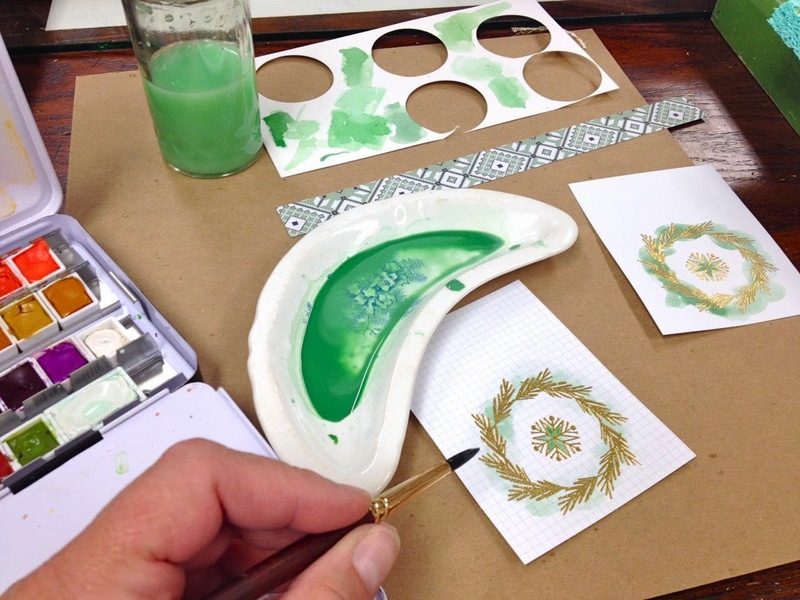 Then I dipped my brush into the green paint and let it bleed into the water soaked paper. The paint soaked into the wet areas, creating a wonderful organic look. 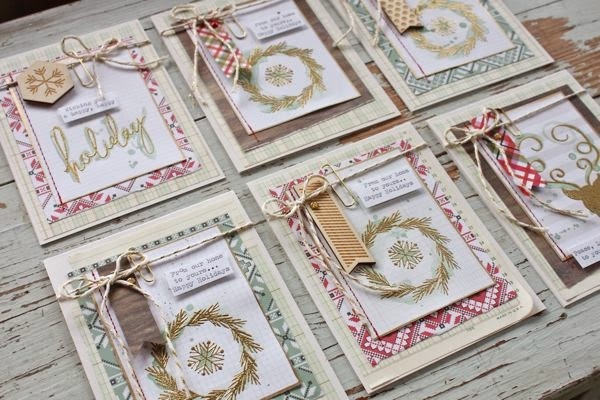 I especially love it looks with the embossed wreaths. 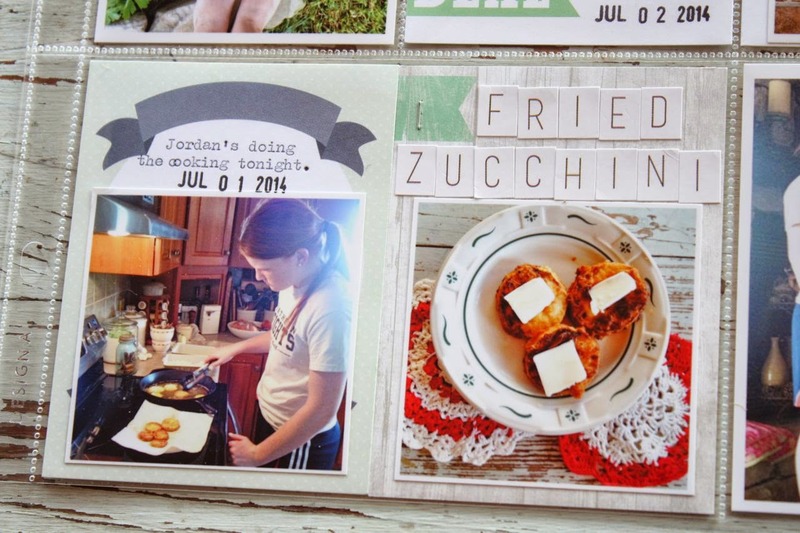 I also dipped my brush in paint and flicked more paint onto my journaling cards. You can see the shiny look of the embossing against the watercolor really well in the photo below. I colored in the snowflakes too which gave the appearance of stained glass. I had my gold leaf pen handy so I ran that along the edge of all my painted pieces. 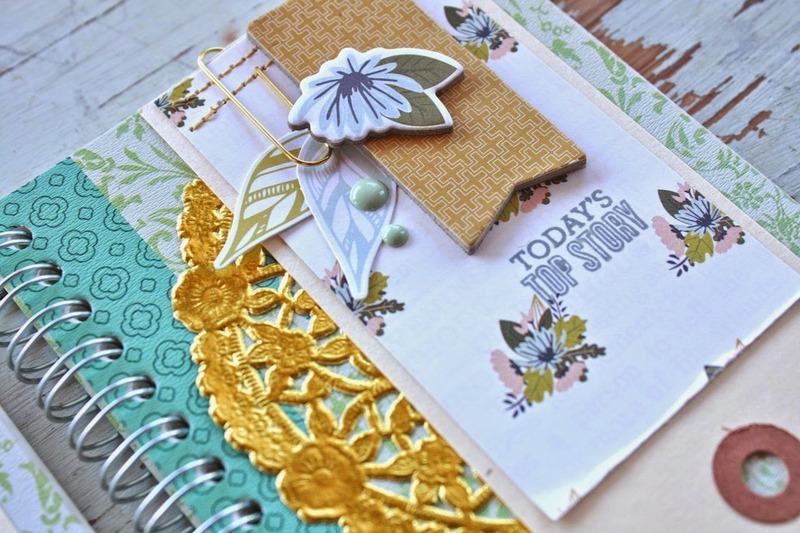 Lots of paper layer and some red stitching for a fun, homespun look. 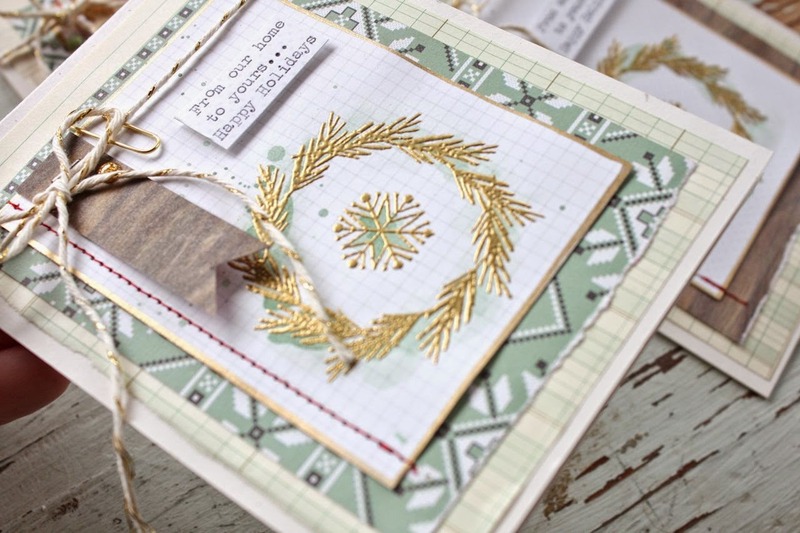 I finished my cards with lots of wood veneer pieces, hand cut flags, paper clips, typed sentiments and gold baker's twine. 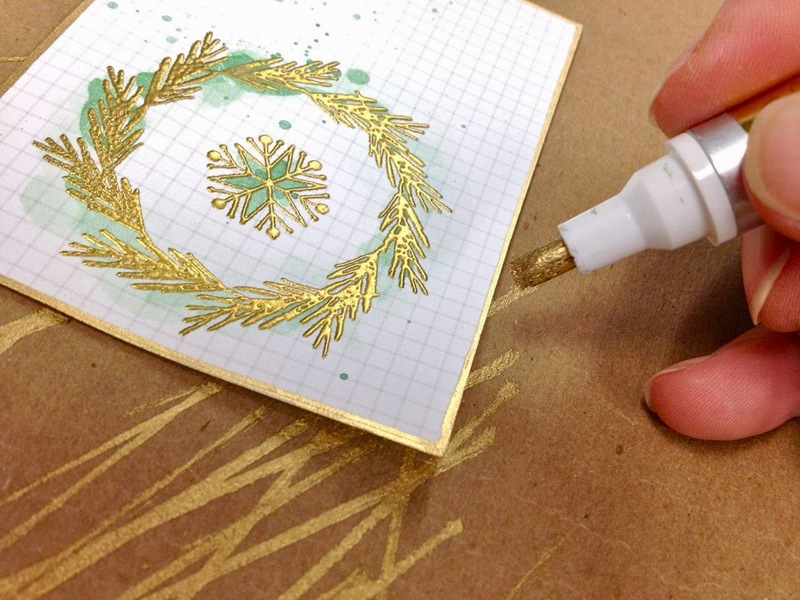 The gold embossing and all the little gold finishing touches really make the cards sparkle and shine. 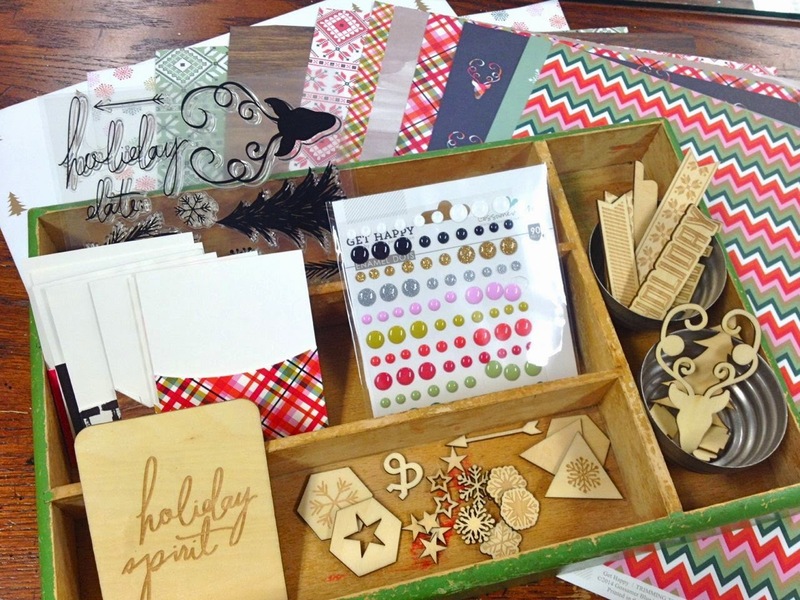 Add in some woodgrain paper and wood accents and you a little woodland look to holiday projects. 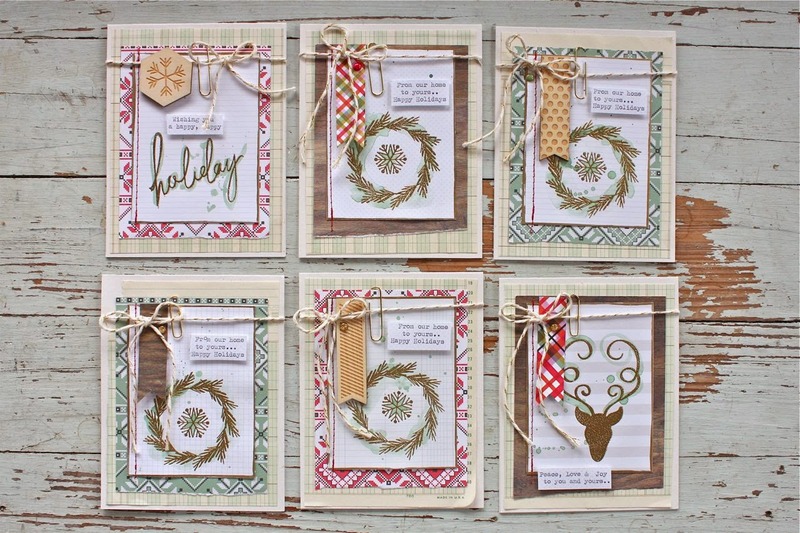 Six holiday cards in my stash. That's a good thing. It's early in the season so you could definitely break the steps down into separate crafting sessions. Maybe do the embossing one day and the watercoloring another day. 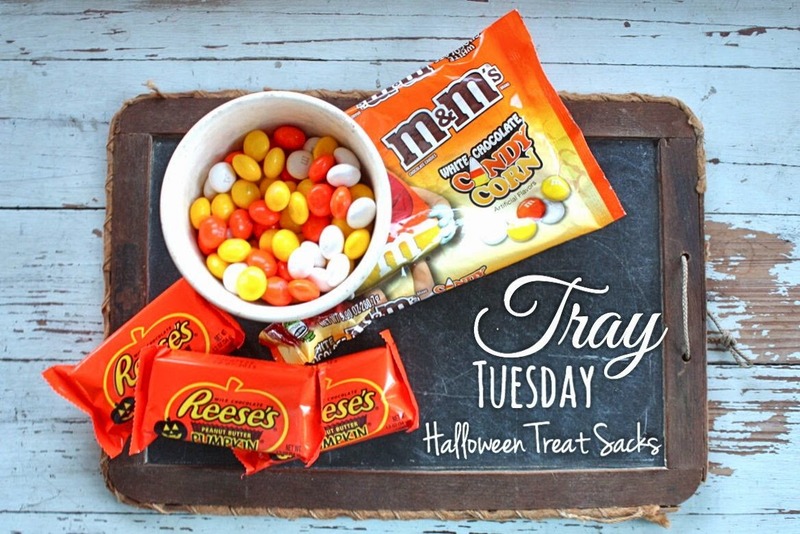 Maybe the rest of your items could be organized and ready to go in a fun tray. You know I love that idea. Hey it's Tuesday....and I have lots of goodies piled up on a tray. Perfect! 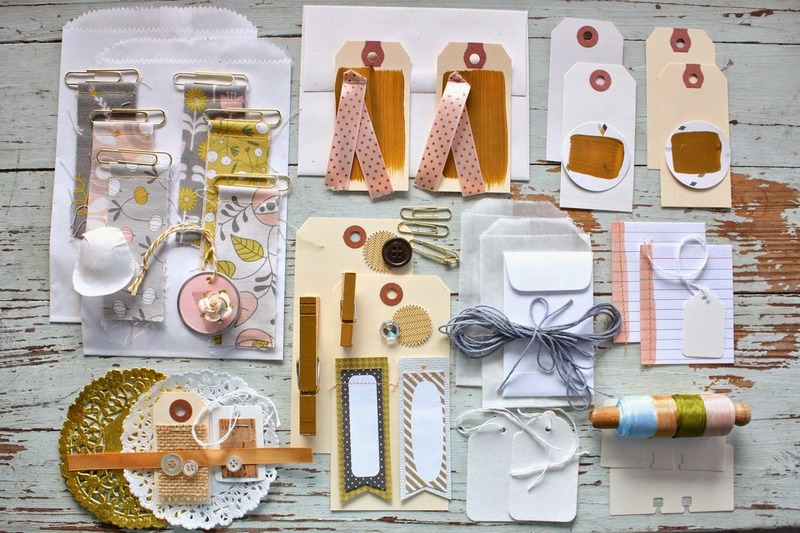 Today I'm sharing my own little mini kit I created using items from the Gossamer Blue Gramercy Road collection and some items I created for my Rose Gold Craft Kit. 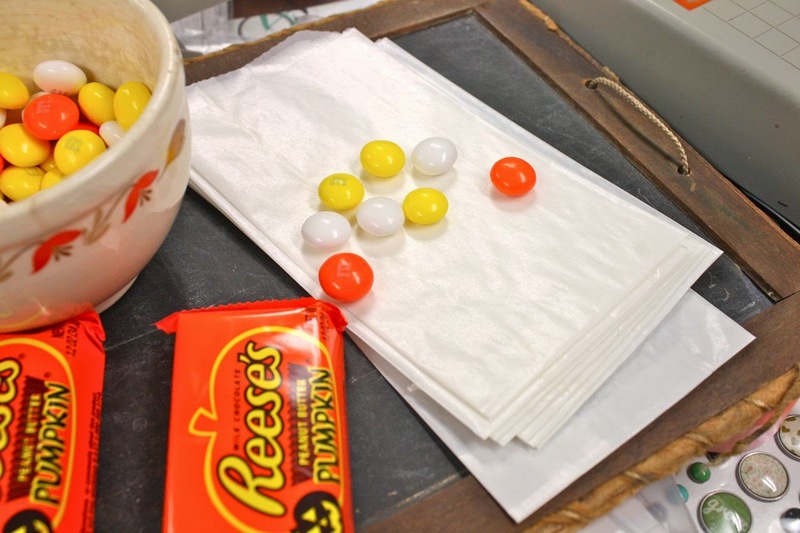 I like to nestle all the little bits and pieces onto a tray so that I can keep everything contained in one spot. 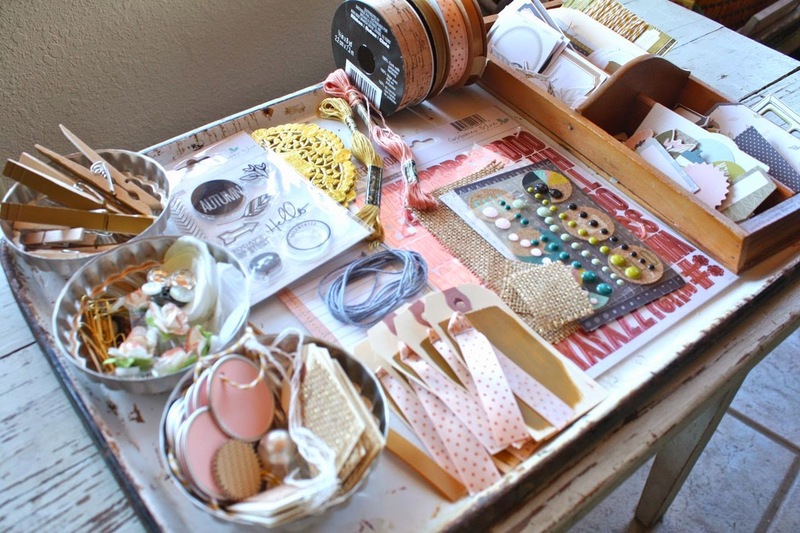 If I want to move my tray around my craft room I can. 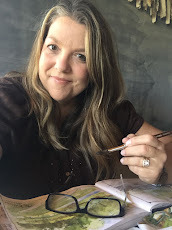 It also makes it easy when I just have small spans of time to work on projects.....I can just shop my little stash and finish a project in 20 minutes or so. My tray gets a little scattered looking but I know that everything coordinates and I just love to dig around for just the right embellishments. Little tags and stickers here and there. It's like a little contained mess. Probably the way just about everything in my house. I'll keep this tray out for a while until I deplete most of this stash. My goal is to work from now until Christmas time and create gifts for family and friends. 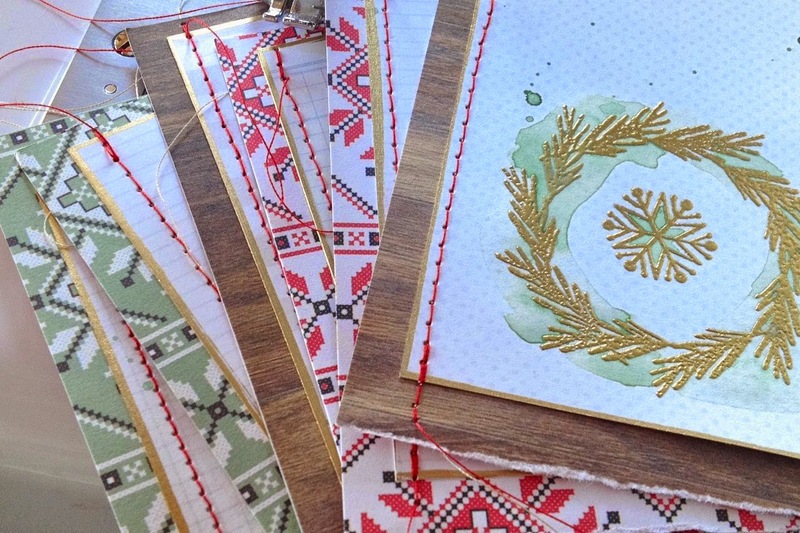 I have some homemade canned goods that I want to pair up with notepads and cards and such. I have these lovelies close by my tray too. Paint if I want to get a little more artsy and some lovely ribbon, just like the colors you get in my kit. 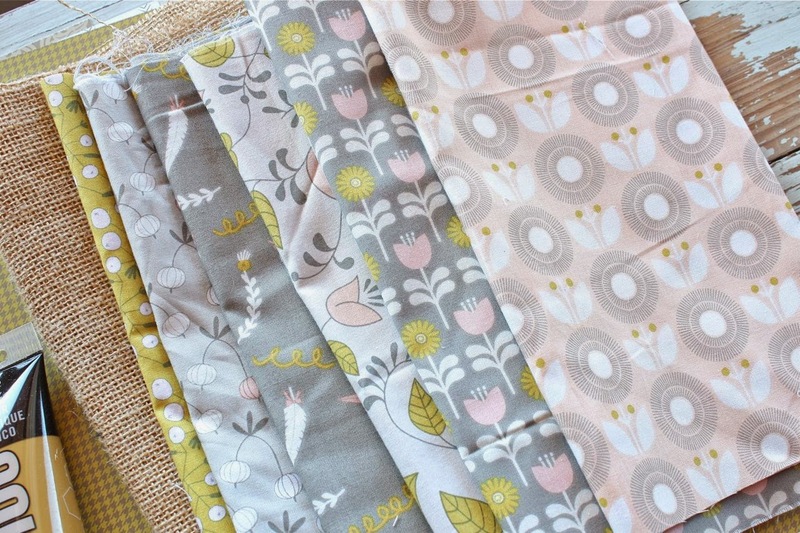 These are the fabrics that I used for the fabric flags in the kit. I just love those little things and will be showing you some ideas of how to use them in a future blog post. 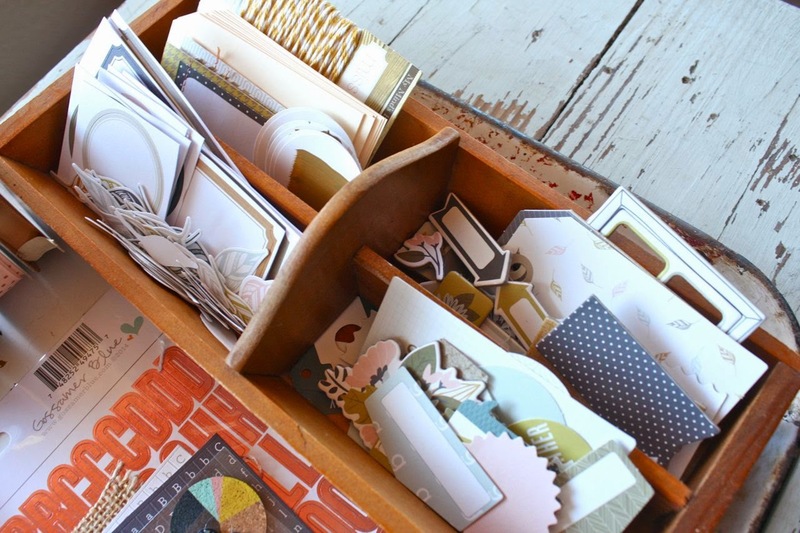 For the papers, here's a little tip from me....sort through all the papers you get in kits or purchase with a collection....then turn up the sides you like the most. It makes it easy to see how you'd like to combine patterns and colors. Here's my first two creations from my tray of goodies. I always purchase notebooks, usually from Target, and keep them in a locker basket on a shelf. Once in a while I'll dig through the basket and pull out something that coordinates with the products I'm using. Everybody loves notebooks so it's fun to see how I can pretty them up. From my Rose Gold Craft Kit I used paper clips and the gold doilies. 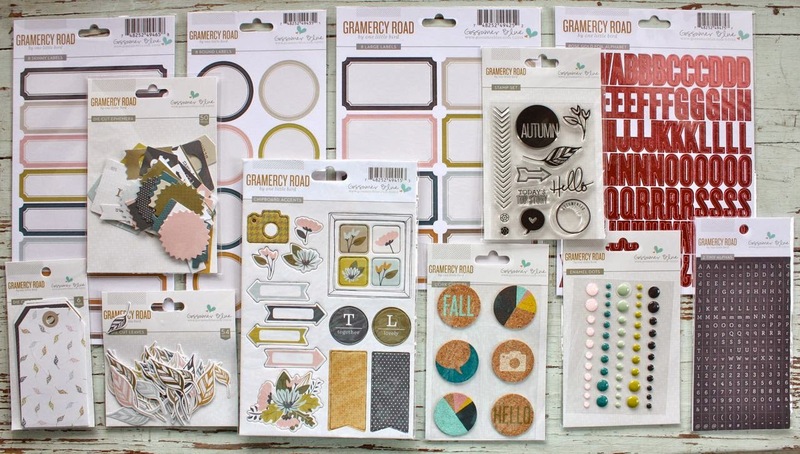 Other items were from the Gramercy Road collection, including the stamped image, stickers, dies, paper and enamel dots. A fun little notebook to set out on the counter for writing daily lists. These two will be kept in a basket that will be filled with coordinating cards and gift sacks. It will be so fun to package these up come Christmas time. 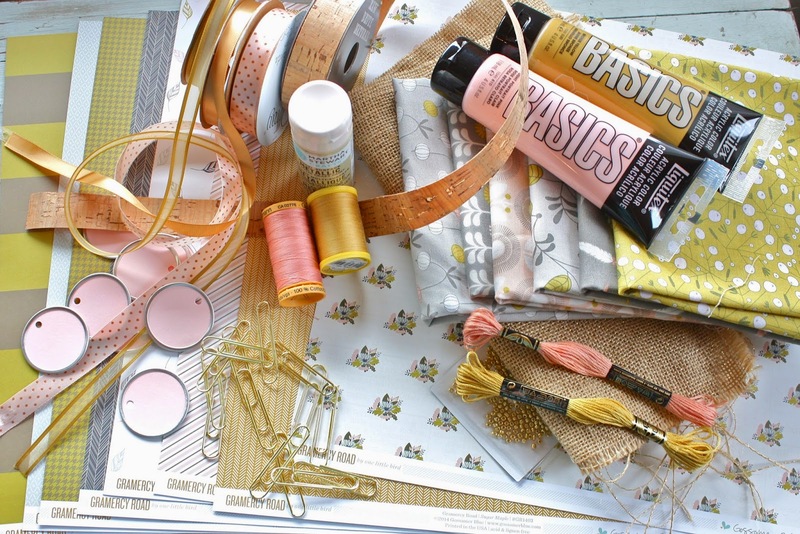 Here's the full Rose Gold Craft Kit. There's just a few of these left in the shop. 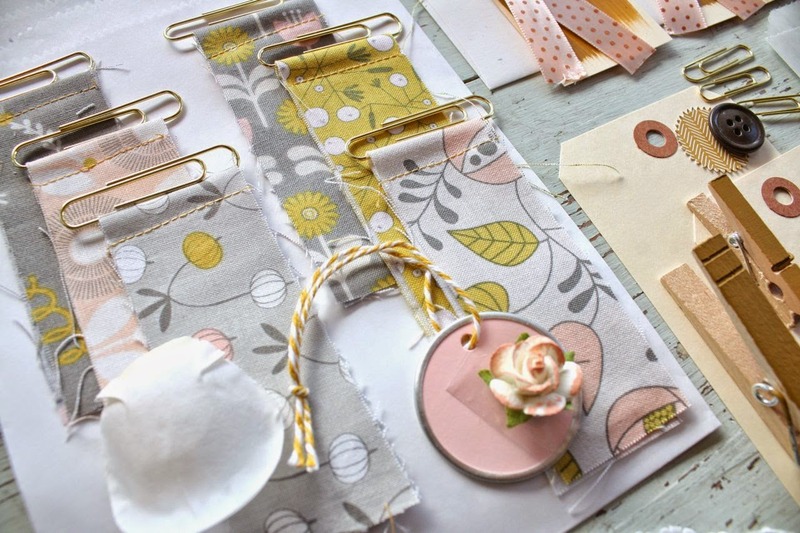 Some of my favorites from the kit are the handmade fabric paperclip flags, the burlap tag and the yards and yards of pretty ribbon. 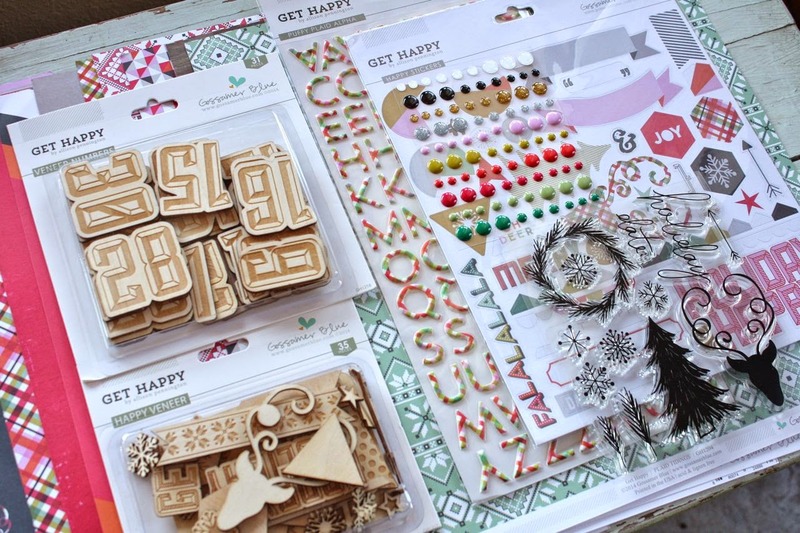 Hope you're having a crafty day, my friends. 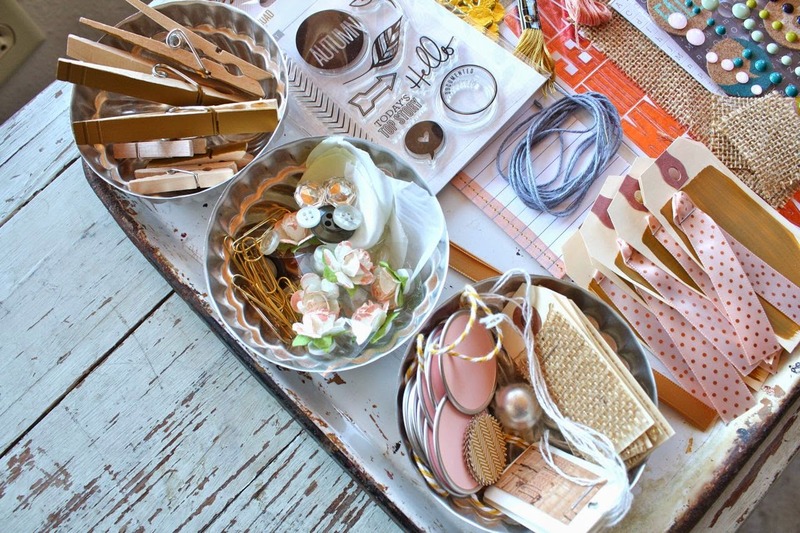 Rose Gold Craft Kit now in the shop..
A few days ago I posted about all the new crafty goodies I purchased to coordinate with the new Gramercy Road collection from Gossamer Blue. You can see all the items I purchased that day here. 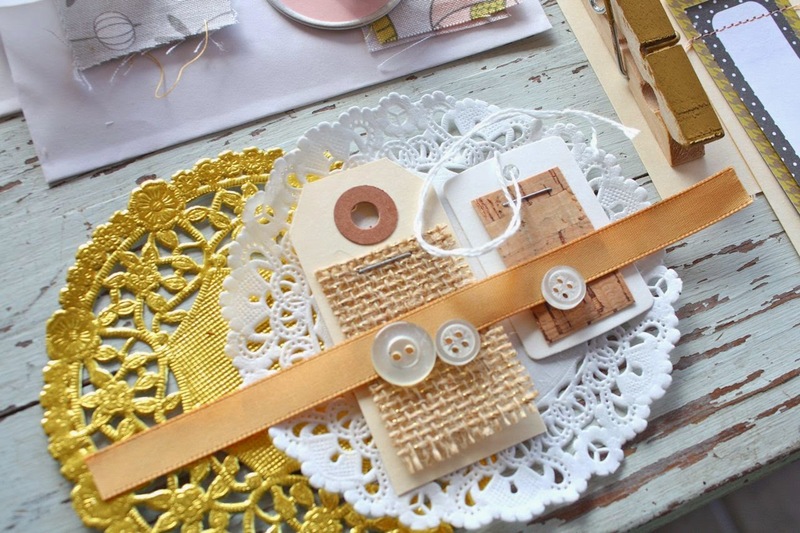 I've spent many hours at my craft table and I've finally put together a kit full of handmade, stitched, painted and put together packaging items and embellishments. The kit is now available in my shop here. I've been loving these fabric paperclip flags. I've left them plenty long so they can be snipped, clipped, pink, notched or left as is. 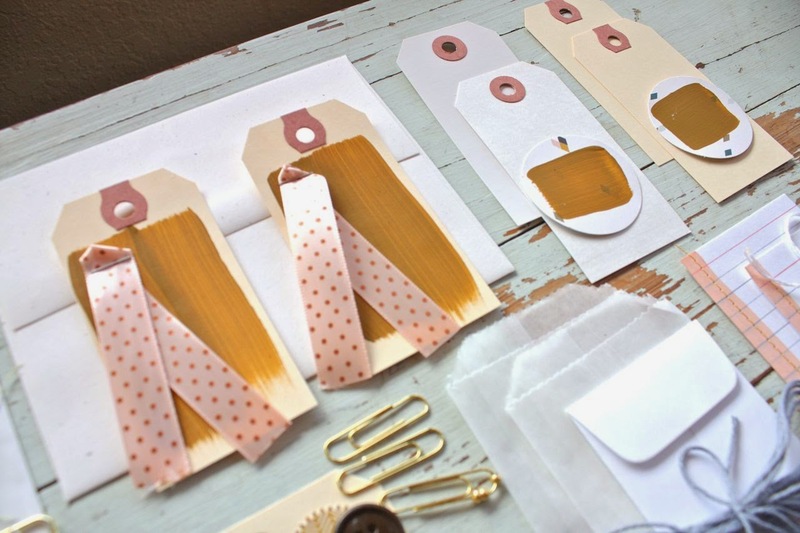 These are great to clip onto tags, sacks, card fronts and more. 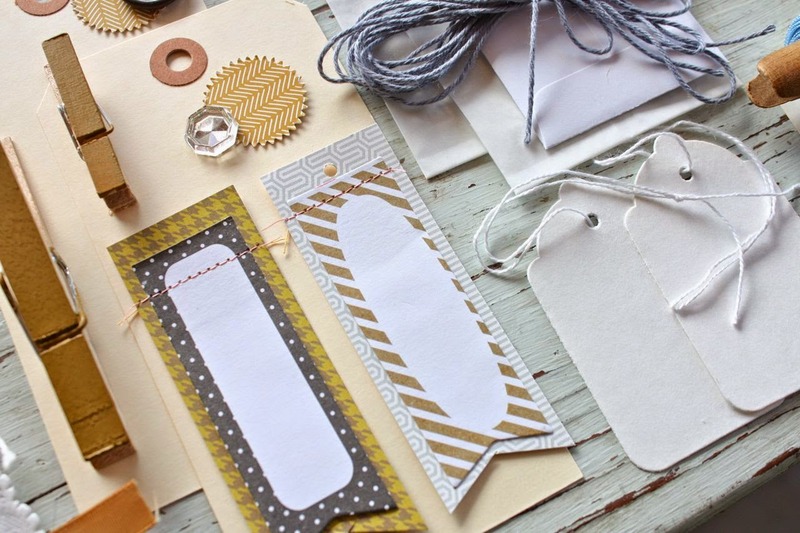 There's lots of tags that I pulled from my shop bins so that you can add layers and layers of embellishments. Some are plain and many are painted with a pretty golden/bronze craft paint. The paint makes a beautiful backdrop for more layers of embellishments. Here I've added burlap and cork to some tags for some wonderful texture. Layer buttons, paper clips and little paper flowers from the kit on top of these. 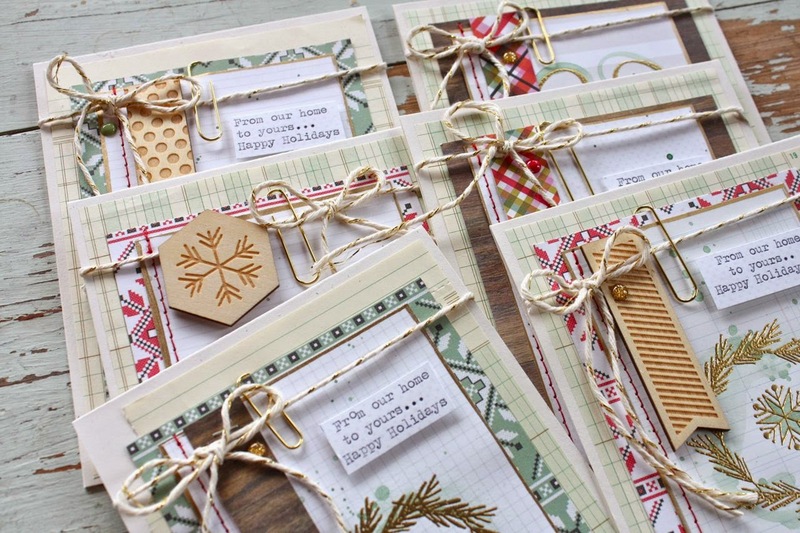 Lots of tags and flags to adding stamping, typed sentiments or how about trying a little calligraphy on some? Lots of little sacks, envelopes and painted index cards for some fun layers. I found four coordinating ribbons that I hand wound onto a vintage clothespin. You'll get 3 yards each of the four colors. 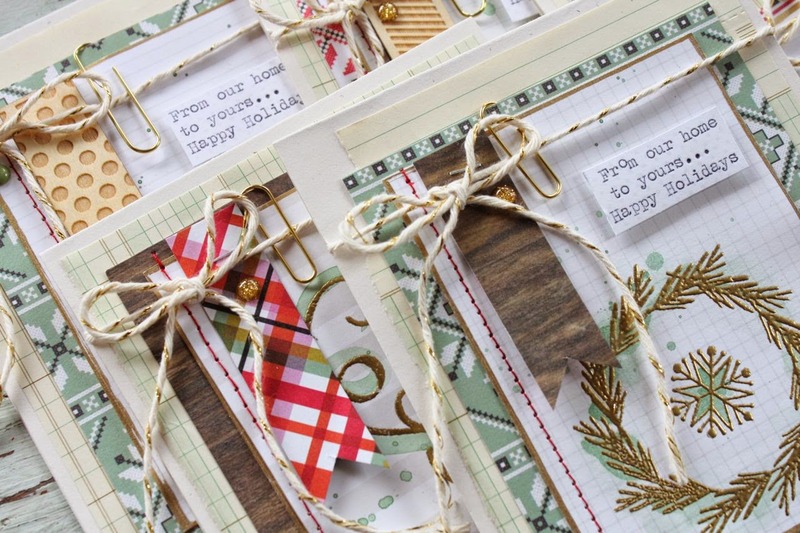 Perfect for wrapping around cards, creating bows or tying around gift sacks. Try running these through the sewing machine to create a pretty ruffled strip. Or spray with water and crunch to let dry for a crinkly ribbon effect. 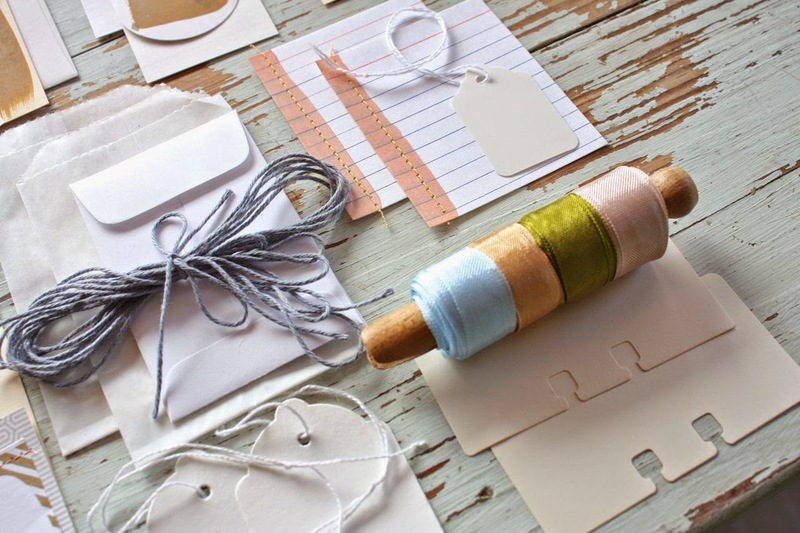 You'll also get some gray twine for tying on tags, etc. It all coordinates so nicely with the Gramercy Road collection you see below. Most of these items have been restocked after selling out quickly over at Gossamer Blue. You can shop for the items here. 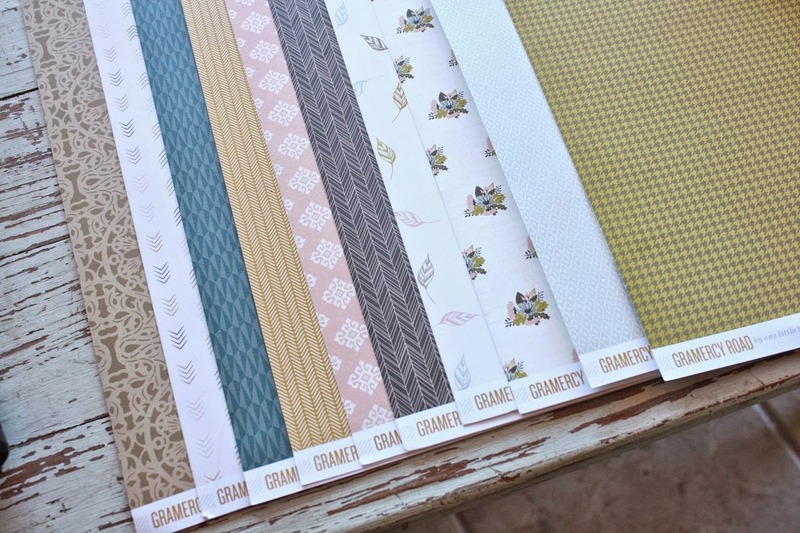 My plan is to take a kit I've saved for myself, pair it with the Gramercy Road items and create a nice inspiration tray full of crafty items. 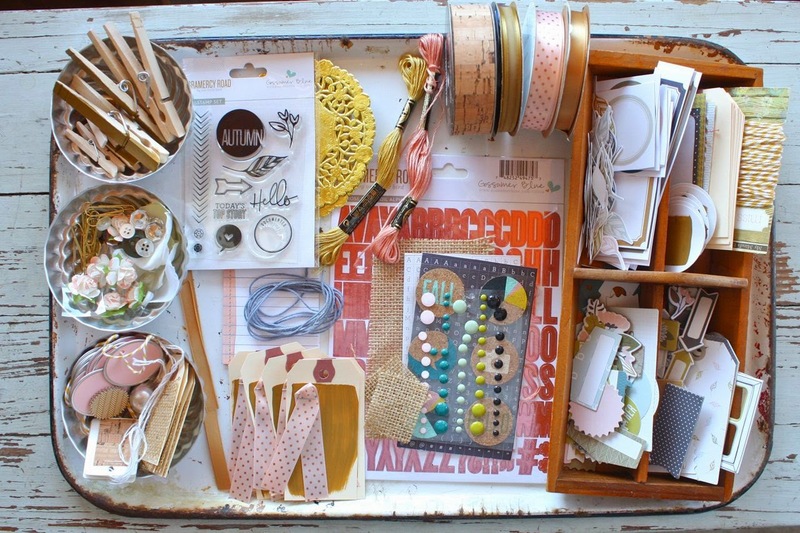 I'll be creating new projects from my stash all month long. I plan to create cards, notebooks, tags and packaging to use for Christmas gifts for the ladies. I'm going to nestle it all into a basket and then gather up items to package as gifts come December. Join me back here often for more inspiration. I'll have a kit coming soon that coordinates with the On My Desk collection. 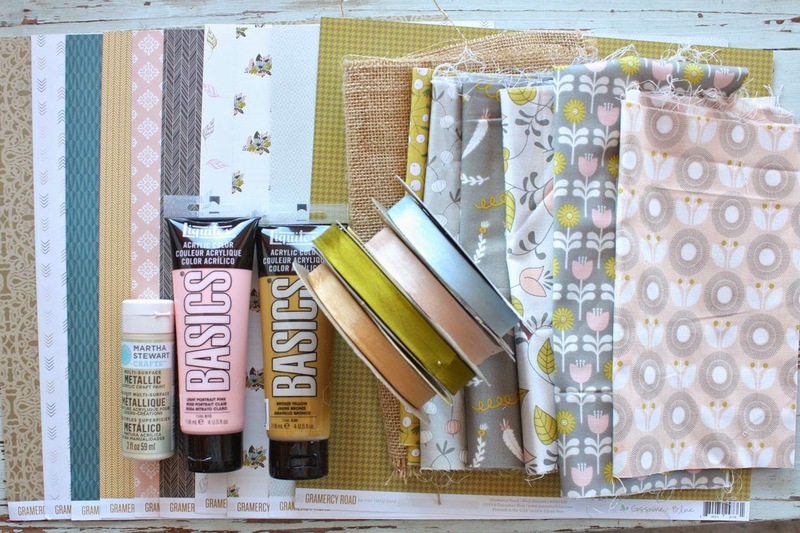 So stock up on Gossamer Blue goodies, purchase one of my kits and I'll see you back here for lots of ideas. Thanks for stopping by! 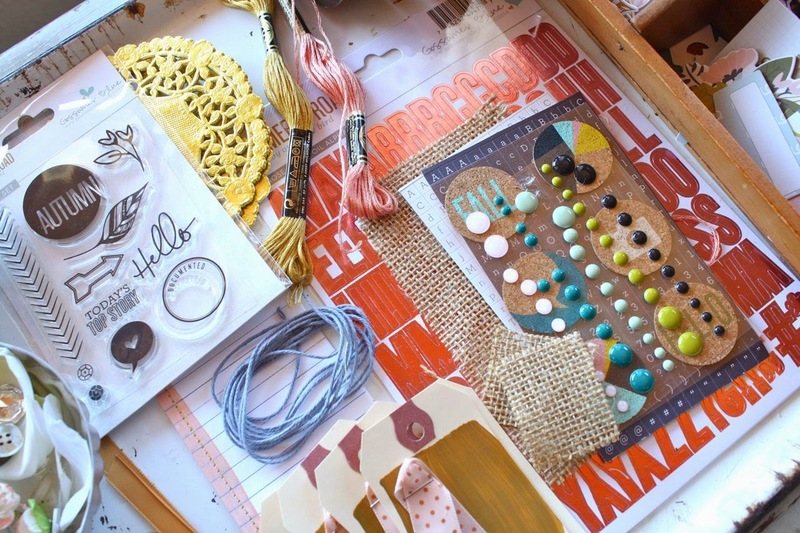 Today the Gossamer Blue team is sharing projects created with our October kits. Sneak peeks for November are going up today but we love to keep sharing some of our October inspiration with you. 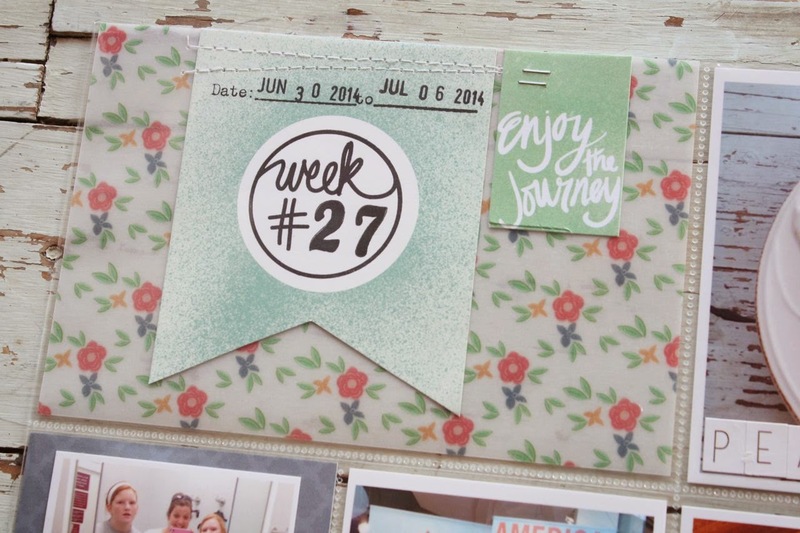 I have Week 27 of my Project Life to show you today. Here's the two page spread. 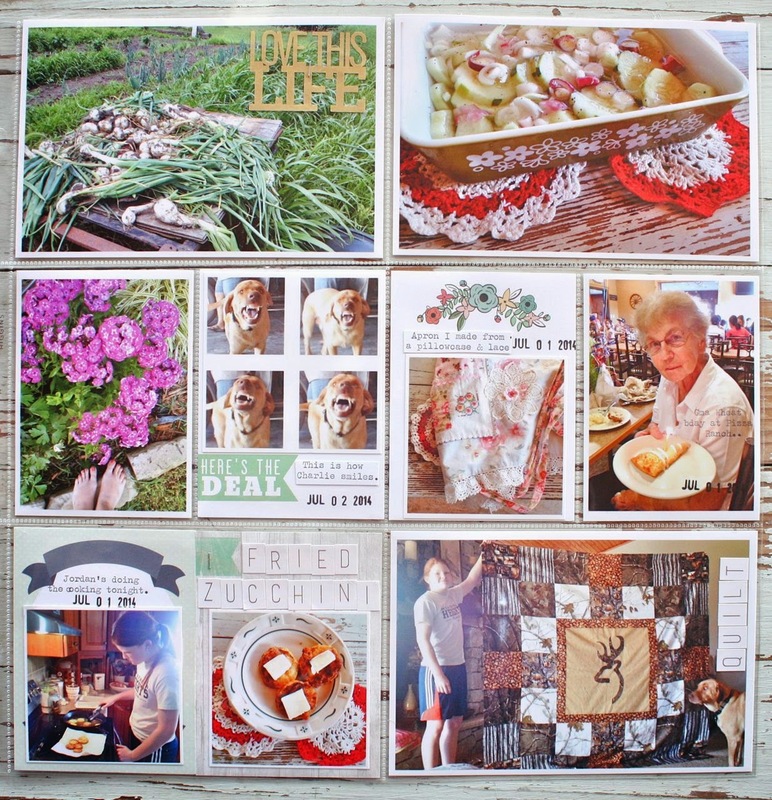 My 4 x 6 dated insert showcasing the Life Pages Main Kit stamp set. It's so nice to have stamps that have the Week # with numbers you can stamp in the circle. I'll be utilizing this stamp a ton. Lots of 3 x4 cards in this week's slots. 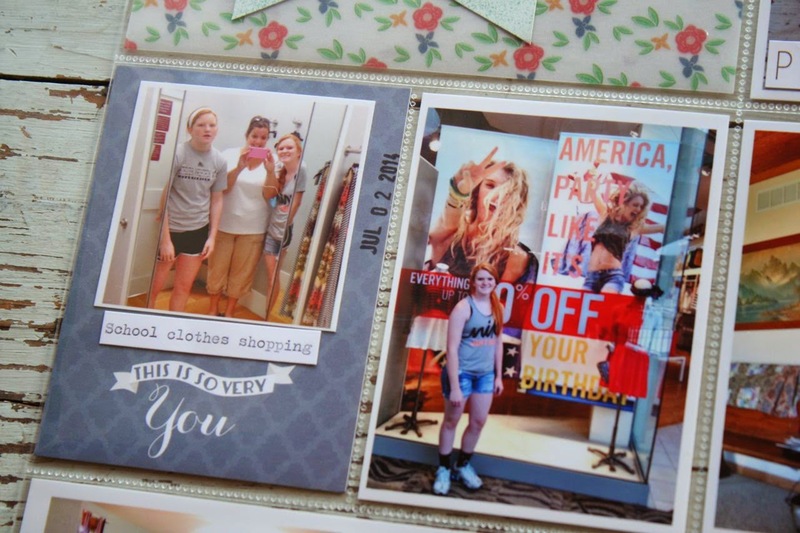 We did some birthday shopping for Josey in the city. Goofy photos, that's how we roll. I love the selfie that Jordan and I took in a bit pot at Walmart. Here's Jordo fixing us fried zucchini. Girl about burnt the house down with all the smoke from the grease. Celebrating my mom's birthday this week too. 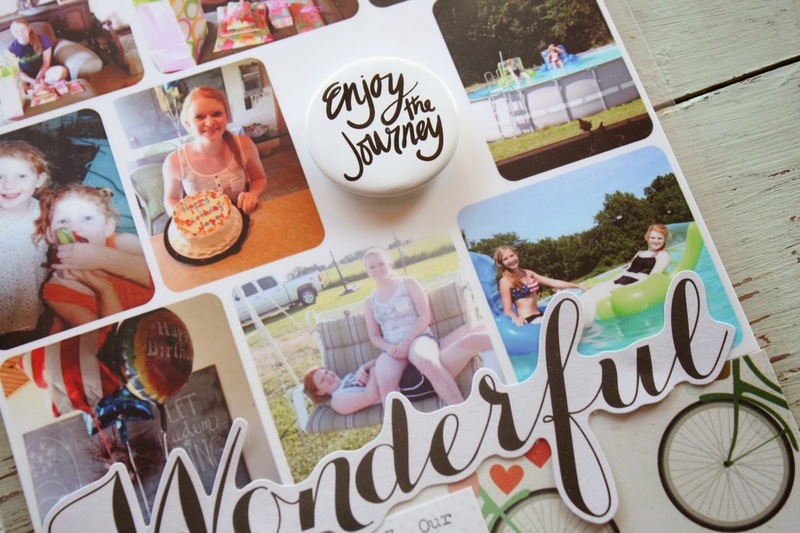 I added a 6 x 12 insert for Josey's 17th birthday celebration. 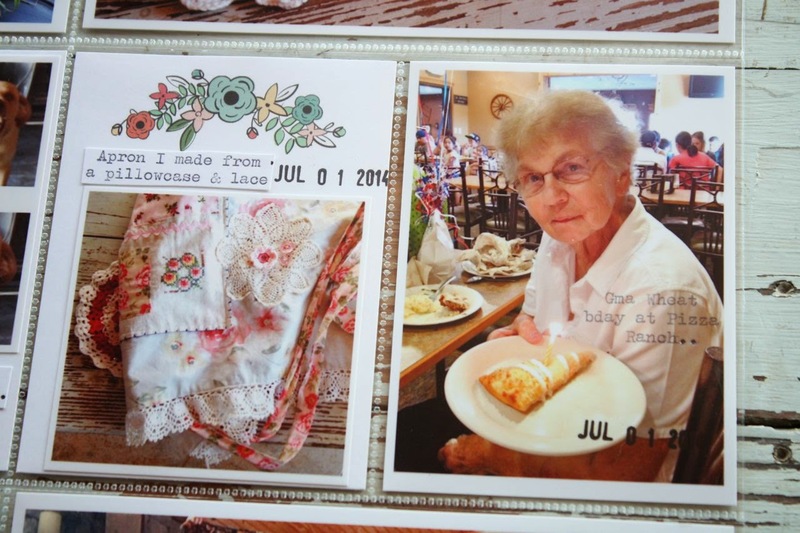 For the top part I used Becky Higgins' Project Life app on my iphone to create the photo collage. I just emailed it to my big computer and printed it at a 6 x 6 size. I left a spot blank so the fun badge would nestle in there just perfectly. I typed some journaling using my vintage typewriter. 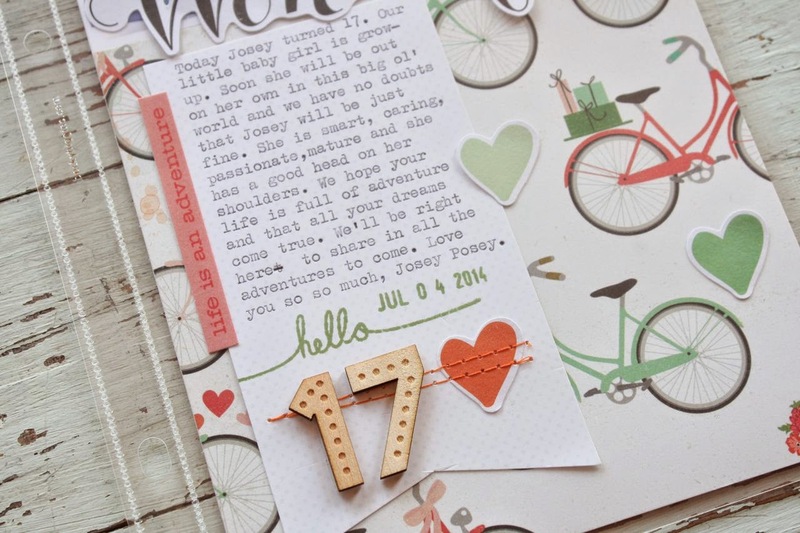 I also added more stamps from the Life Pages Kit, some veneer numbers and stitched on some hearts. 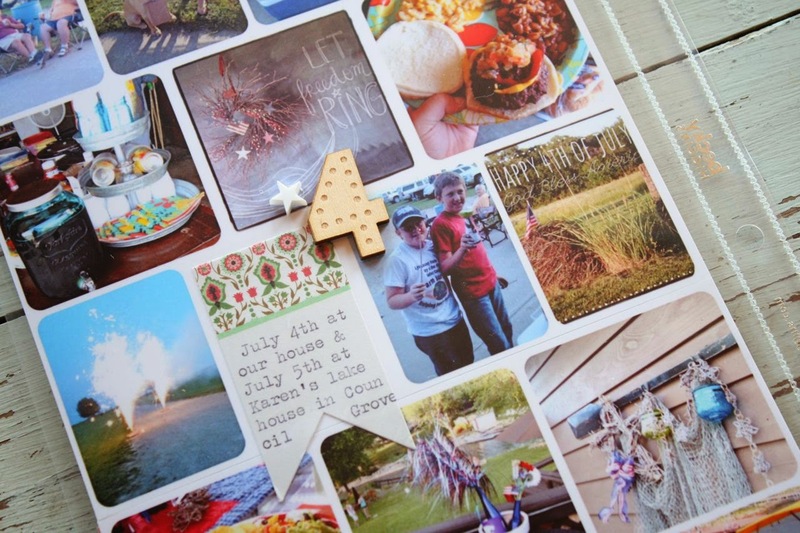 Here's the back side of the 6 x 12 insert which shows our July 4th celebrations. 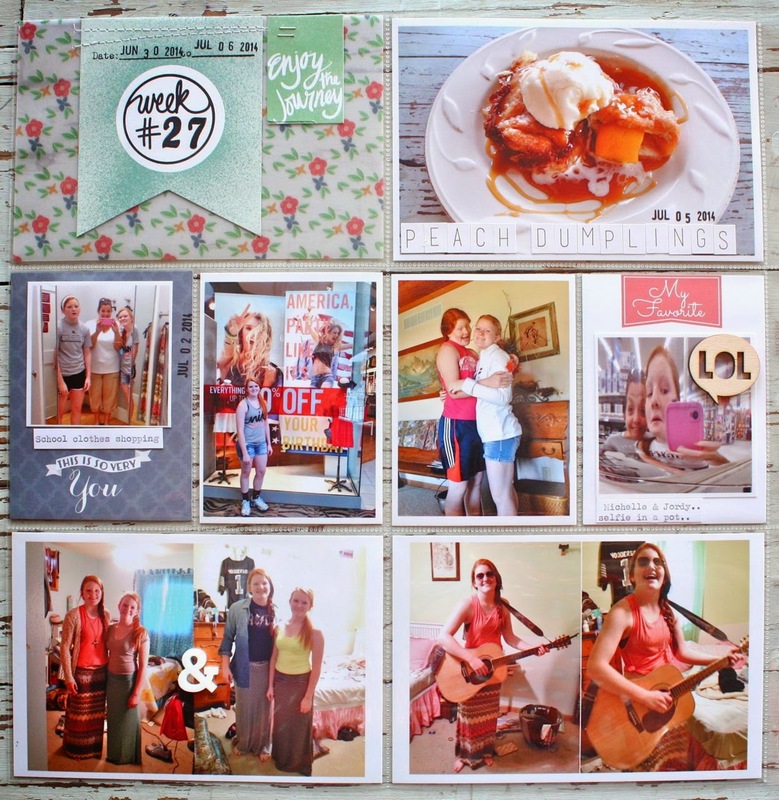 I used the Project Life app again to create two 6 x 6 photo collages. I love that I can do this all on my phone while sitting around and then just email the photo to my big computer. I left some more spots blank so that I could use bits and pieces from my kits to fill in some fun spots. That's it for this week. Thanks for stopping by. 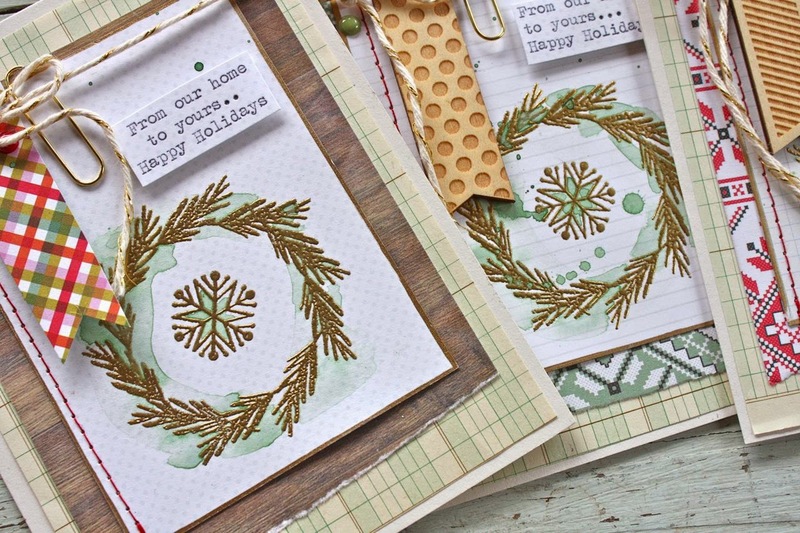 If you're following along on the blog hop, your next stop is Rebecca Luminarias. 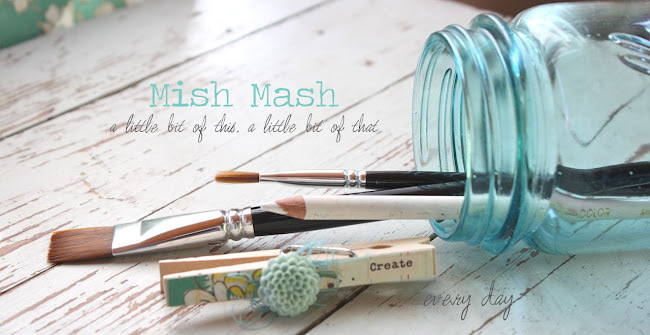 You can see a full list of participants over at the Gossamer Blue blog. Have fun! I'm back today for Tray Tuesday. 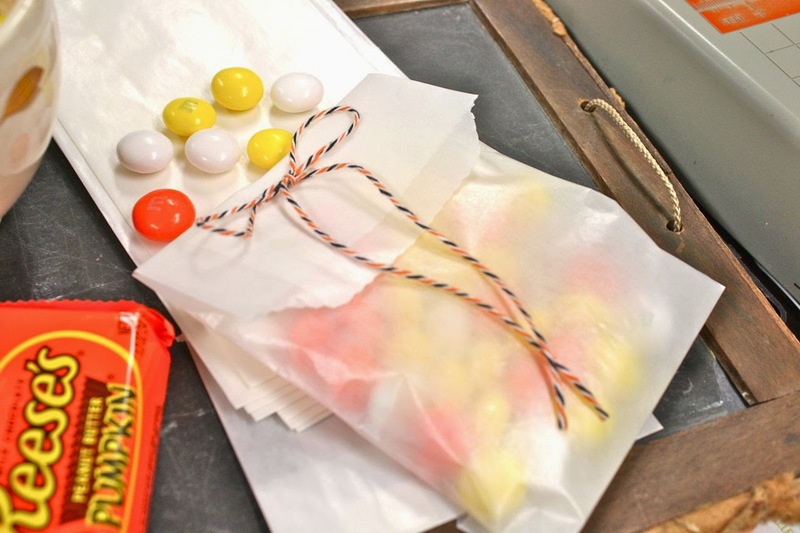 It's time for a some cute Halloween treat sack packaging and I've got just the right little goodies. My tray today is an old chalkboard with a vintage dish that has some pretty orange flowers on it. Sometimes the best way to create little vignettes is to just shop your house and cupboards. 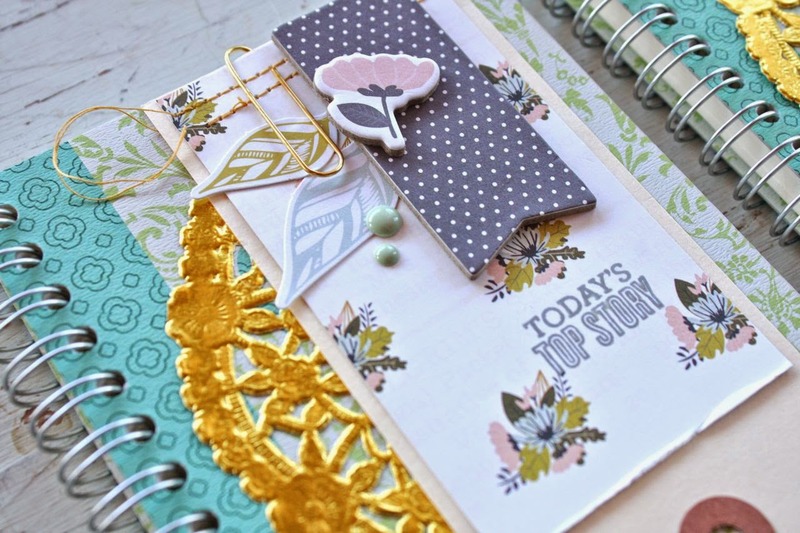 This little mixy matchy method really shows off your creativity. 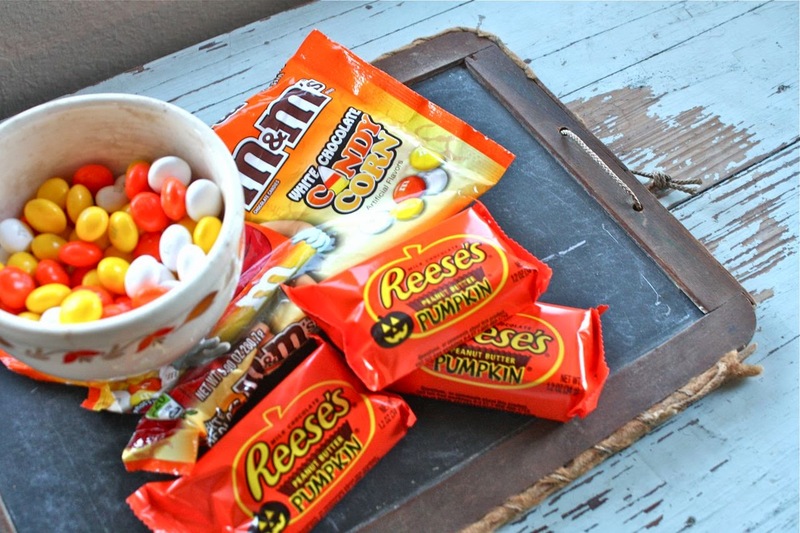 My favorite candies to put in treat sacks are the candy corn M & M's and Reese's peanut butter pumpkins. You just can't go wrong. 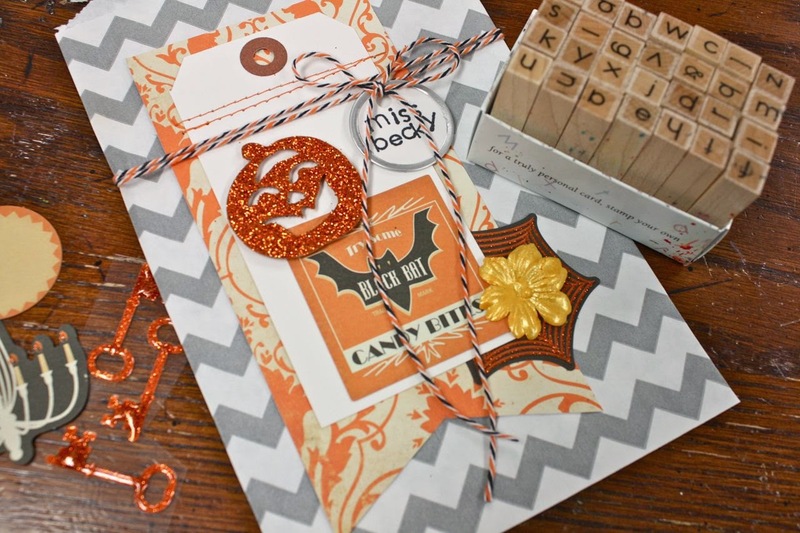 For my packaging today I'm using a Halloween Gift Sack Kit from my shop for the main packaging (now on sale). I grabbed a few Medium Glassine Sacks to package up the loose candy. I just punched a few holes and added some Halloween twine to secure the sack. I assembled my treat sack just as my sample shows in the product listing. I added a stamped name to the metal rimmed tag + I added in a few Halloween themed items from my stash to spruce up the packaging. 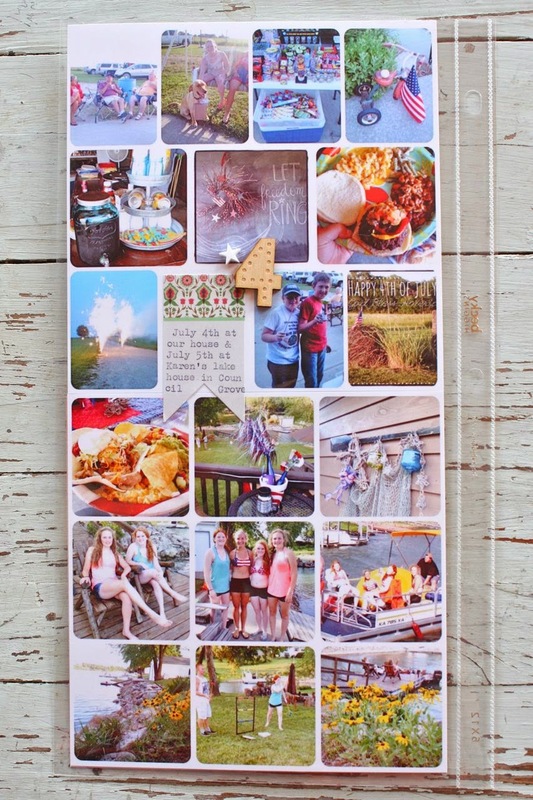 You could easily add a stamped image, stickers or die cuts too. Then it was time to package up the treats. 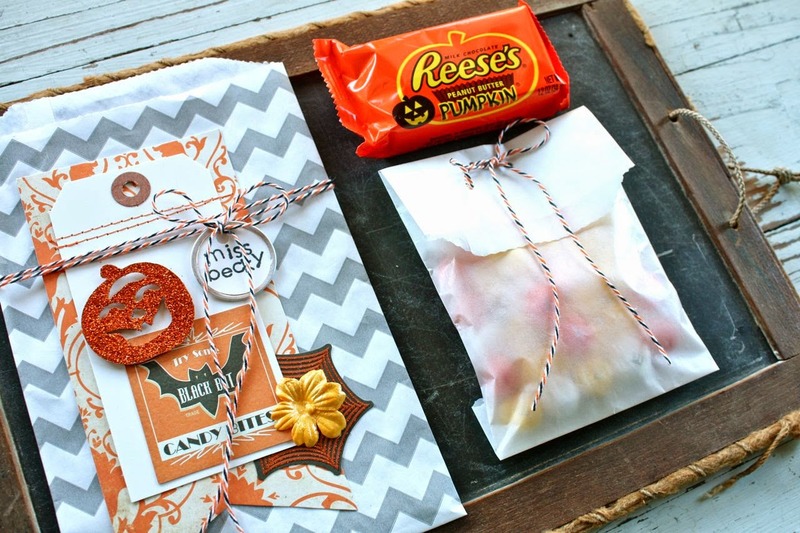 My glassine sack and pumpkin treat will fit inside the Halloween treat sack perfectly. Yum is right. Who doesn't love to receive a little something special now and then? This little treat is for Miss Becky, our school secretary. She's the most pleasant, upbeat gal and she does her job very well. It's always a treat to be greeted by her when you enter the high school. So have you planned some special treats for those special someones? There's just a handful of my kits left in the shop. I'll be shipping them out lickety split so you'll have plenty of time to prepare them before Halloween. 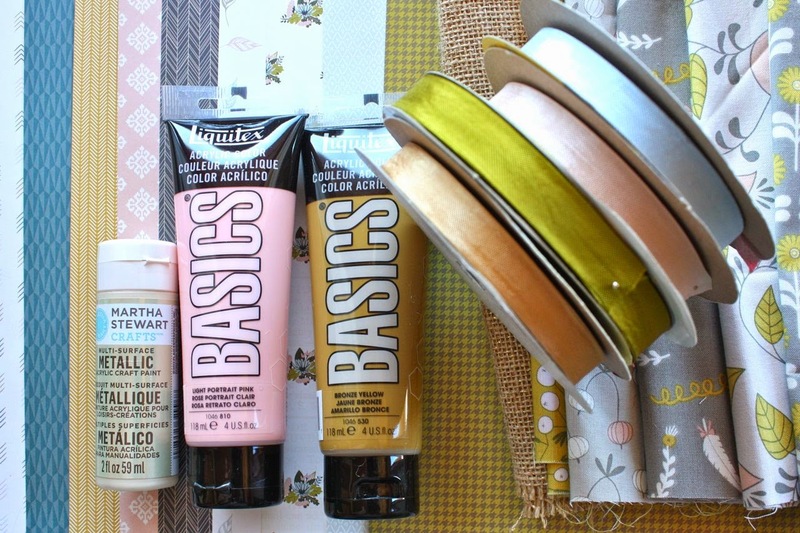 If you're needing some more generic gift packaging take a look at my Pretty Paint & Paperclip Kit or my Darling Dear Kit that is perfect for Fall. 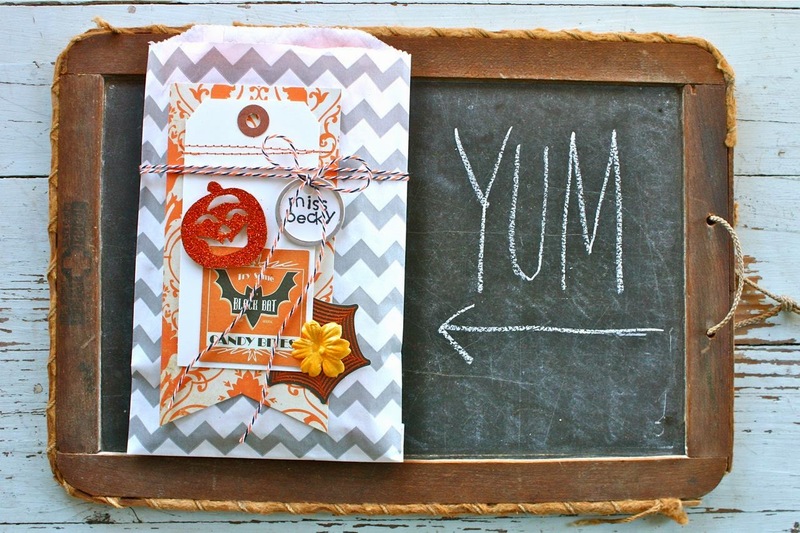 New to the shop recently, my Fall Leaf Kits would be so pretty at the Thanksgiving table. Happy packaging and thanks so much for stopping by today!